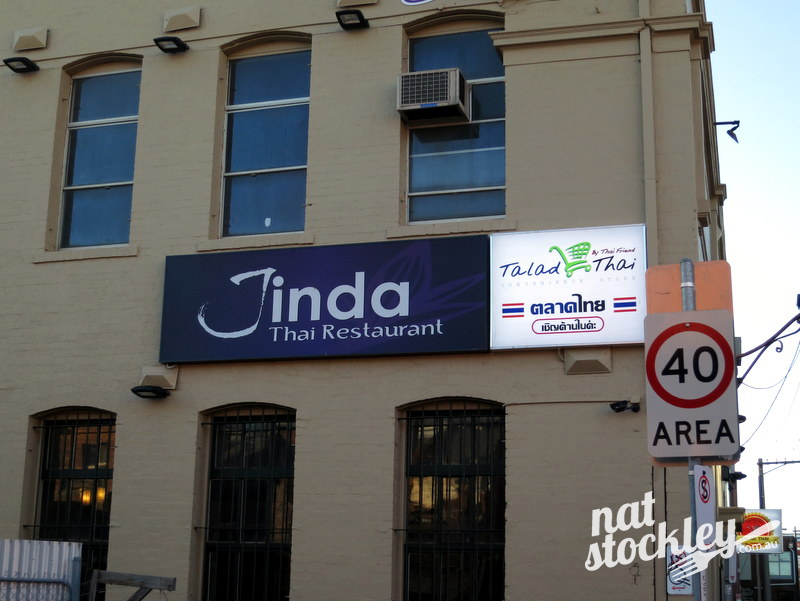 Jinda Thai is located merely metres away from bustling Victoria St, however it seems another world away. 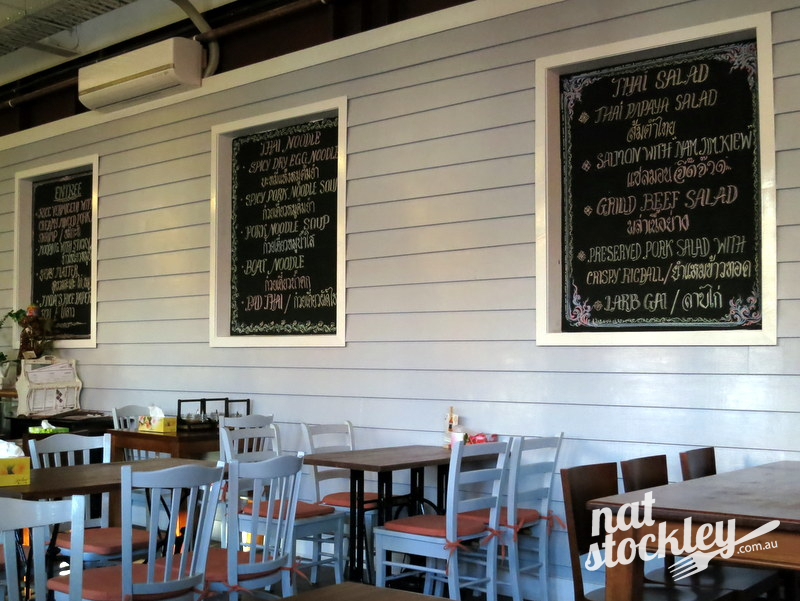 The expansive warehouse space has been given a marvellous makeover resulting in a unique country feel. The lacquered exposed brickwork, a wall of white framed windows & some restrained use of colour in the paintwork and soft furnishings curiously all work together. 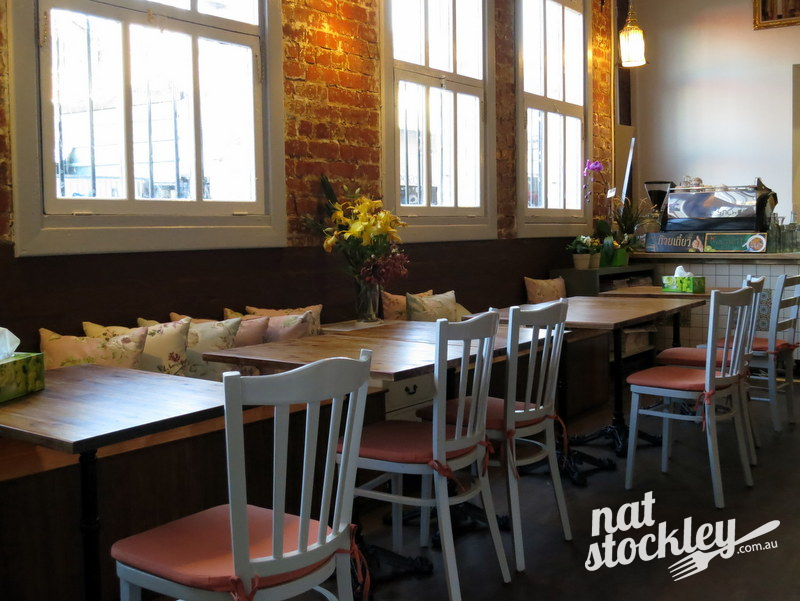 The family behind the venture also operate the two “Krua Thai” restaurants, located in Bridge Rd, Richmond and Acland St, St Kilda. 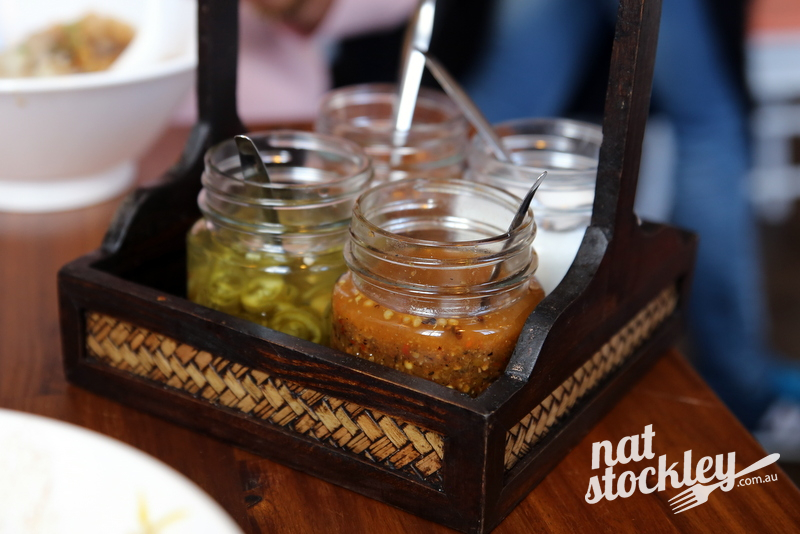 The menu seems to include virtually every Thai inspired dish you could imagine. 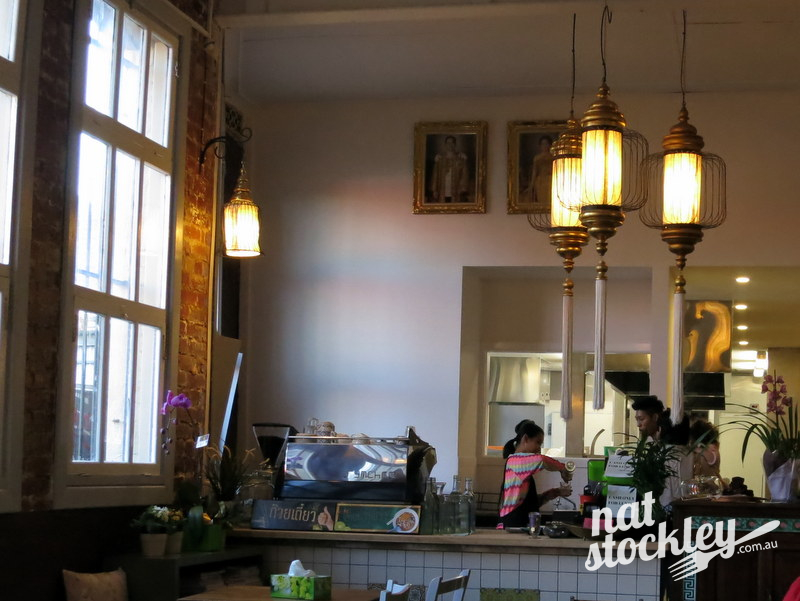 There’s some typical dishes that you’d come across at any Thai joint in town, but there’s quite a few specialties that you generally struggle to locate in Melbourne. 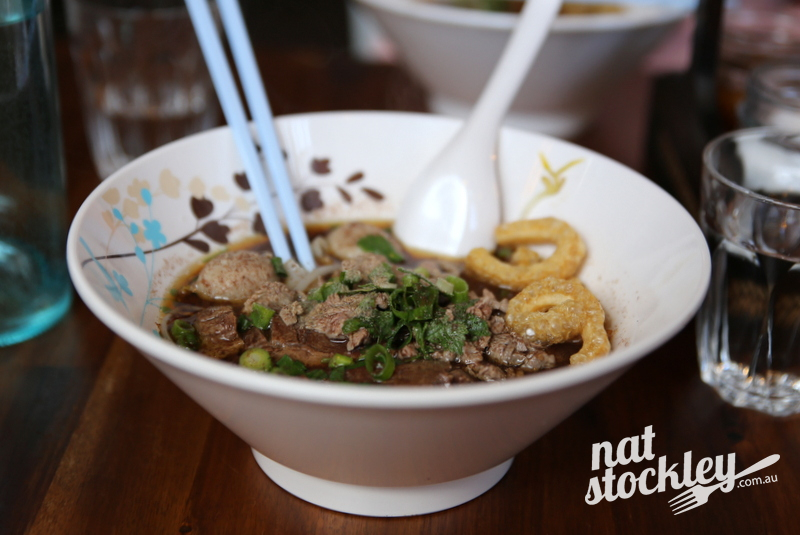 My boat noodles soup with beef was simply sensational and the best of its kind I’ve come across outside of Thailand. It really was fine and comparable to what I’d find on the streets of Bangkok. 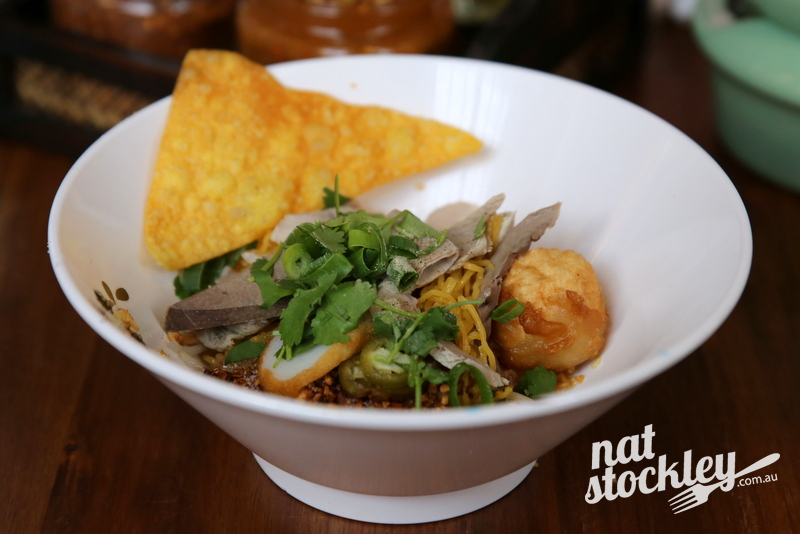 Another favourite of mine is their dry tom yum noodles which are a world away from the standard small bowl of tom yum you’re likely to encounter in most suburban Thai restaurants. 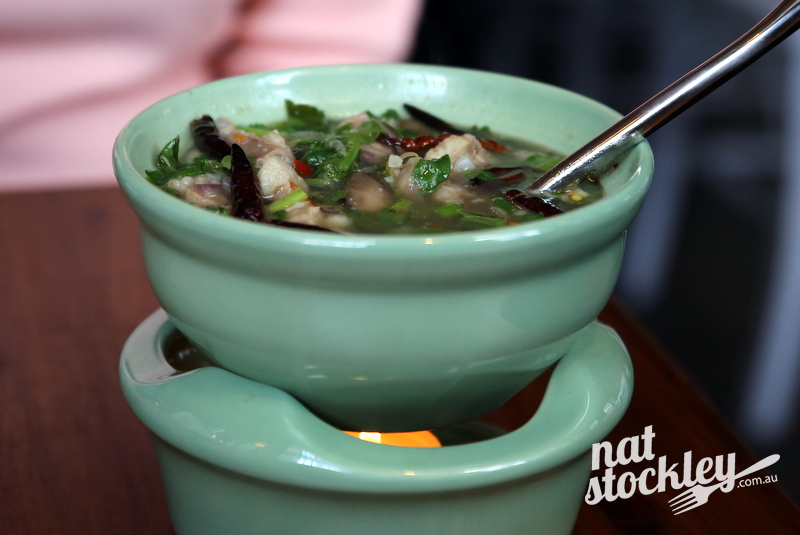 I’m not completely convinced that everything else on the menu is as inspiring as those superb boat noodles, but with such a lengthy menu I guess that’s understandable. 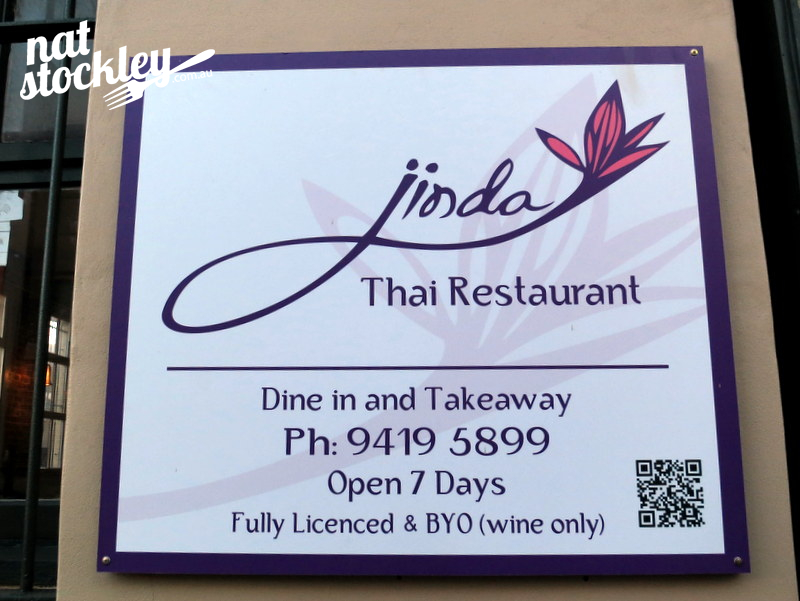 With the bang for your buck Jinda Thai offers, it’s no surprise securing a table without pre-booking has become a challenge. Excellent web site you have here.. It’s difficult to find high-quality writing like yours nowadays.